Rugged 3D seafloor terrain 5000 metres deep, where robot submarine Autosub6000 is hunting for deep-sea vents among the underwater cliffs and gulleys. As the world awaits Curiosity’s arrival on Mars, an alien landscape 227 million kilometres closer to home remains woefully unexplored. To chart the vast depths of the ocean, the UK has developed an unmanned sub capable of diving miles beneath the sea. It’s called the Autosub6000. This 5.5m, 2.7-tonne, titanium-clad Autonomous Underwater Vehicle is the latest in a long line of independent deep sea explorers developed by the National Oceanography Centre, Southampton. As the name implies, the Autosub is pressure-rated to a staggering 6000 metres — deep enough to explore 90 per cent of the word’s oceans. Rather than being tied to its mothership via a 6km umbilical for power and control, like conventional ROVs, the Autosub free-dives. Its flight path is pre-programmed before the submersible is launched. In the water, up to 12 rechargeable lithium-ion polymer battery packs on a five-hour charge provide enough juice for 60 hours or 350km of operation. While this is a huge improvement over previous Autosub models that ran on regular D batteries — 5500 of them to be precise — the NOC hopes to double the operational capacity on future UAV models. Launching and recovering Autosub6000, our underwater robot, on its missions exploring the depths of the Cayman Trough in search of deep-sea volcanic vents. Since the Autosub works without human intervention, it employs GPS navigation when on the surface and an Ixsea PHINS fibre Optic Gyro (FOG) based Inertial Navigation System, coupled to a RD Instruments 300kHz Acoustic Doppler Current Profiler, which allows the sub to maintain a constant height above the seafloor as the terrain changes. As a sensor suite loaded into the watercraft’s nose collects scientific data, it also uses forward-facing collision-avoidance sonar to avoid running into reefs, black smokers, cliffs and other obstacles. “Apart from the correct functioning of the vehicle during the trials at extreme depths, what particularly pleased me was that we have now developed the control and obstacle avoidance systems such that we have the confidence to send the AUV into a hostile and rugged terrain. This will lead to more challenging and interesting scientific campaigns in the future,” said Steve McPhail, Autosub6000 project leader. If speed diving were an Olympic sport, the imperial cormorant would definitely medal. Dubbed "Superbird" by avian experts, the South American sea bird was videotaped diving 150 feet underwater in 40 seconds. Imperial cormorants would probably be on the podium with a bunch of penguins, which are also ace divers. Just as technology is improving human athletics and sports timing accuracy, it's also providing more accurate real-time recording of non-human animal physical feats. In this case, Flavio Quintana and colleagues from the Wildlife Conservation Society and the National Research Council of Argentina recently outfitted an imperial cormorant with a tiny camera and watched as it became Superbird. The avian swimming sensation dove 150 feet in 40 seconds. That distance is equivalent to a 13-story skyscraper with very tall ceilings on each floor. The bird then stayed underwater for 80 seconds, enough time for it to catch a snakelike fish. With the fish in its beak, the imperial cormorant then returned to the surface in 40 seconds. The footage marks the first time that researchers have been able to directly view the feeding technique of these talented birds. You can even see how the camera was attached to the bird’s back, since the view is of the bird's head as it pumps its feet to swim deeper. The video was taken at Punta Leon in Patagonia, Argentina. This is a coastal protected area supporting more than 3.500 pairs of imperial cormorants. The research team has tracked 400+ cormorants along the Patagonian Coast of Argentina using such cutting-edge tools as multi-channel archival tags and high- resolution GPS-loggers, in addition to video. The scientists are gathering all of this data to help identify priority feeding areas, which can then be safeguarded and monitored. There are some 40 species of cormorants, one or more of which you might have seen near water. After they come ashore from a fishing trip, the birds frequently hold their wings out in the sun. It's a sight you can't miss if you're nearby, as it's quite dramatic. They have waterproof feathers, but this stance helps to dry out the outside of the feathers and wings, getting them ready for the next power dive. Robots are immensely cool and allow us to learn more about the world we see every day. OpenROV is “cooler” because it lets us explore and learn about the world we can’t see; the last frontier of which we see only the surface usually. Although there are many, many terrific projects on KickStarter , this ranks as my all-time favorite to date. The OpenROV project is an open-source underwater robot for exploration and education. Their goal is to provide kits for the DIY community. On their blog, they announced that they have a small section of the forum dedicated to adventures - a place to collect research and exploration ideas. Do-It-Yourself telerobotics community is centered on underwater exploration and education. Their robot is made of mostly off-the-shelf parts. Probably not stuff you have laying around the shop, but ones you can easily acquire. They have been prototyping the entire project at TechShop (done some open build type nights, too) and I’ve seen files uploaded to GitHub, Ponoko, and I’m sure there are others. There appears to be a worldwide userbase much like the open source laser cutter project called Lasersaur. I’d like to see if there’s one in the works up near me and get it out into the Hood Canal to visit one of the giant octopus known to be in those waters. However, a buddy of mine had an underwater ROV that he built for another project and a giant octopus decided it looked like lunch. I think the OpenROV is more affordable than his and maybe, maybe, slightly less painful to lose to a hungry cephalopod. How is the ROV controlled? Since I’ve spent a fair amount of time involved with underwater projects (former SCUBA instructor, guide, and dolphin research work) I’ll admit that I’m a bit biased about the importance of this project to humanity. There are many important scientific ocean and marine experiments and university projects that will benefit from this underwater remote operated vehicle. But if you think about some of the cool discoveries that have taken place in the ocean, you may decide to agree with me. With 11 days left on their project, they have over-funded already, but that’s okay, go fund it some more. Good projects can always use more funds to bigger and better things. "We must believe that it is true." You're in luck if you've been waiting to spy a blue moon hovering in our skies. August heavens will be graced with two full moons, the first on Aug. 1, and the second Aug. 31, with this glowing sphere often labeled a blue moon. If you miss this one, when is the next blue moon? You'll have to wait three years for the next blue moon, expected on July 31, 2015. Earth's only satellite, however, will look like it normally does on any other night. Even so, August's second full moon is considered relatively rare, though two full moons in one month occurs on average every 2.66 years. The lunar month lasts about 29.5 days, or the time it takes to circle once around Earth, during which time it goes through all of its phases, from new moon to full moon to new moon (when the moon is between Earth and the sun). We see the moon because of sunlight reflecting off its surface, and as it travels around our planet we see different amounts of its sunlit side. During a full moon, that means we are seeing the full sunlit face of the moon. Usually months have only one of these full moons, but since Earthly months are 30 or 31 days long, it's possible to sneak in two full moons in one of these calendar months. A blue-hued moon isn't unheard of, nor is a green-colored one. In 1883, the Indonesian volcano named Krakatoa erupted, sending plumes of ash high into the atmosphere. Some of the ash-clouds were filled with particles just the right size to strongly scatter red light, while allowing other colors to pass, according to NASA. White moonbeams shining through the clouds emerged blue, and sometimes green, NASA writes on their website. EarthSky : When is the next Blue Moon? As indicated in this image, which displays the vintage of the U.S. Coast & Geodetic Survey (“geodetic” was added to the agency name in 1878) and NOAA soundings along the Fairweather reconnaissance path, vast swathes of lead line measurements were collected more than a hundred years ago. 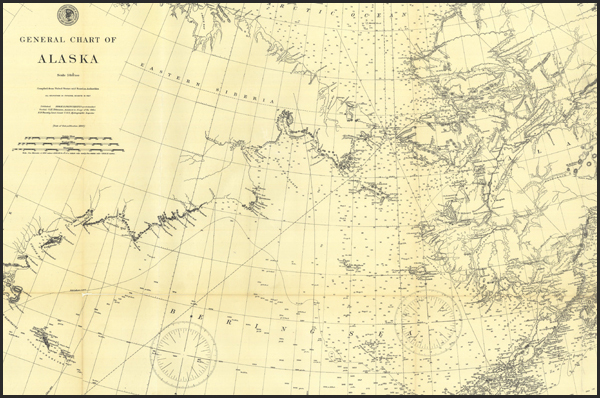 Some of the small-scale charts in Alaskan waters use soundings from Captain Cook (1770s vintage) or even Vitus Bering (circa 1740). While it is difficult to pinpoint exact sources, some soundings could also come from British Admiralty charts or Russian Empire charts. NOAA’s Office of Coast Survey, Alaska, and the nation’s economic vitality have been intertwined for 145 years. We strengthen that bond on August 1, as NOAA Ship Fairweather begins a reconnaissance survey to the northernmost tip of the Alaska’s Arctic coast. Fairweather will check soundings along a 1,500 nautical mile coastal corridor from Dutch Harbor, Alaska, to the Canadian border. Regardless of whether ice interferes with the final northern leg of the survey, the sounding samples acquired by Fairweather throughout the reconnaissance will provide critical information needed to prioritize NOAA’s future survey projects in the Arctic. This 1898 General Chart of Alaska (partial image) was compiled from United States and Russian Authorities. The U.S. Coast Survey, one of NOAA’s predecessor organizations, was instrumental in the U.S. decision to purchase Alaska. In 1867, Coast Surveyor George Davidson led the party making a geographical reconnaissance of Alaska, to assess the Russians’ offer to sell “Russian America” to the United States. He assured U.S. officials that Alaska would bring valuable resources to the nation, and we purchased Alaska for $7.2 million. Coast Survey leadership, in their annual reports to Congress, foresaw that Alaska’s resource development would severely challenge the woefully inadequate transportation infrastructure at the time, and more hydrographic field parties were dispatched to Alaskan waters through the rest of the 19th century. Fast forward to this century. A tanker, carrying millions of gallons of oil, should not be asked to rely on measurements made with lead lines, before modern technology allowed full bottom surveys. Unfortunately, that’s exactly what navigators have to do, in too many cases. 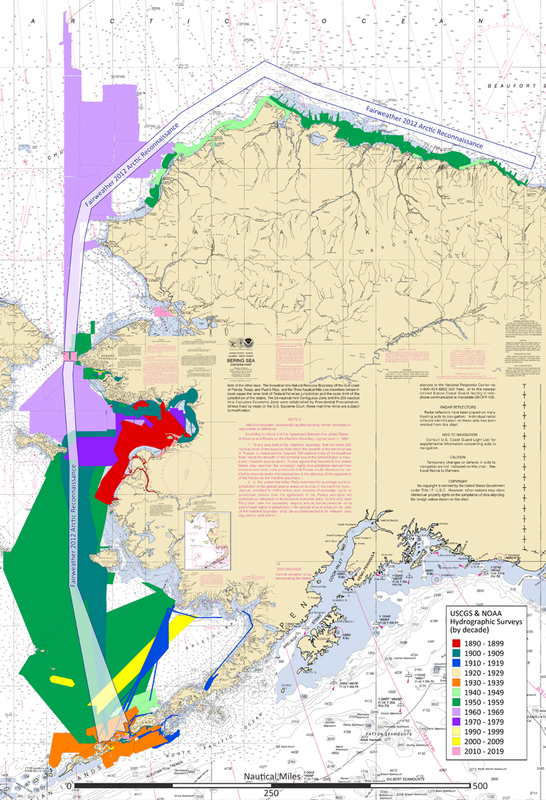 Coast Survey has made it a priority to update the nautical charts needed by commercial shippers, passenger vessels, and fishing fleets transiting the Alaskan coastline in every greater numbers. In June 2011, we issued the Arctic Nautical Charting Plan, a major effort to update Arctic nautical charts for the fairways, approaches, and ports along the Alaskan coast. Before our cartographers can update the charts, however, they need up-to-date and accurate depth measurements. 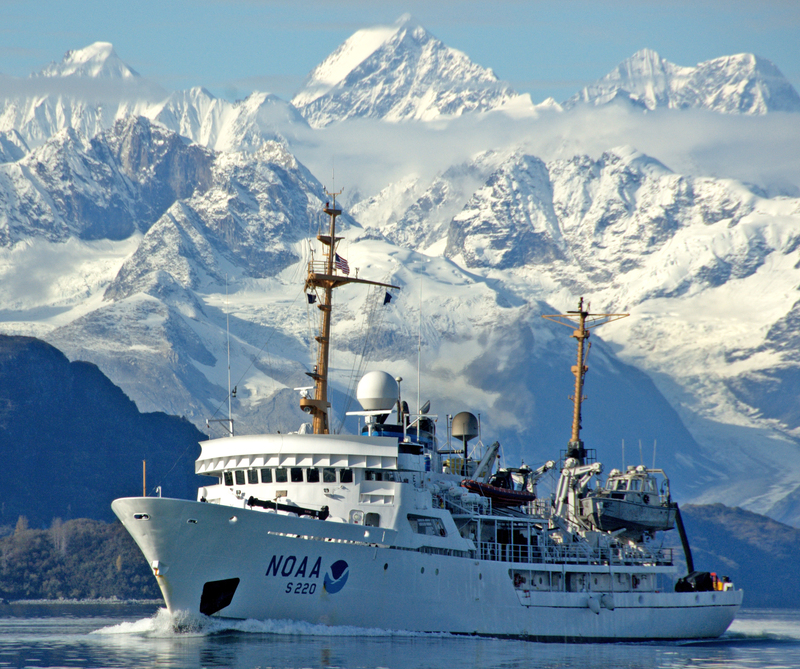 NOAA’s Office of Coast Survey is committed to getting that data. Using a fleet of robotic floats, a team of British and Australian scientists have uncovered the mechanism in the Southern Ocean that sequesters around 40 percent of the world’s carbon emissions. A report on the team’s research, which was published this week in Nature Geoscience, showed that “mixed-layer depth, ocean currents, wind and eddies” create plunging currents that draw atmospheric carbon deep into the ocean, where it can remain for hundreds or thousands of years. “The Southern Ocean is a large window by which the atmosphere connects to the interior of the ocean below,” said lead author Jean-Baptiste Sallée from British Antarctic Survey. “Now that we have an improved understanding of the mechanisms for carbon draw-down we are better placed to understand the effects of changing climate and future carbon absorption by the ocean,” he added. 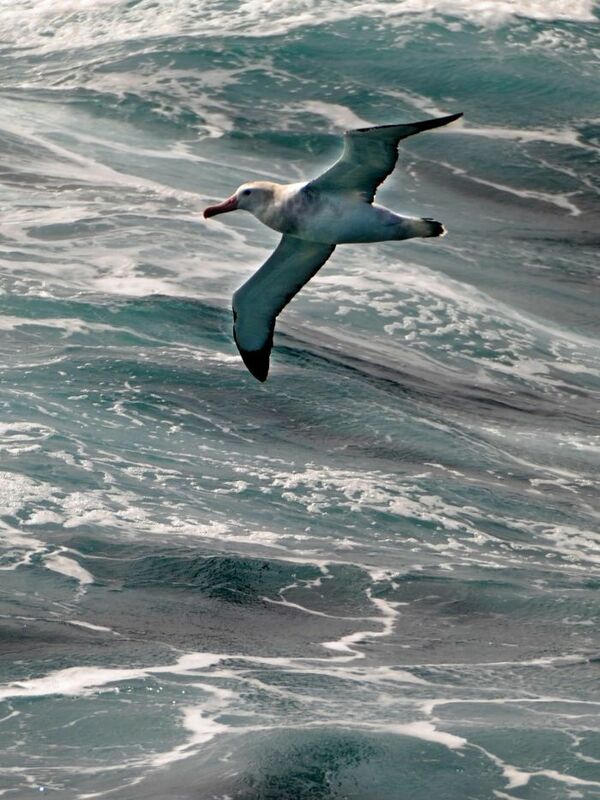 Wandering albatross skims across the Southern Ocean. scientists now believe that, deep below, giant rivers are dragging down carbon dioxide from the surface in currents that could be up to 1000km wide. Recent studies have also shown that naturally occurring currents in the Southern Ocean can draw carbon dioxide up from deep below the surface. To study these plunging currents, which can measure 600 miles wide, the researchers launched 80 robotic floats back in 2002 and incrementally expanded the fleet to 3,000 by today. The “Argo” floats are about a meter long and collect detailed temperature, pressure and salinity data. They can dive as deep as 2,000 meters into the ocean for 10 days at a time and are made to perform 150 such trips. 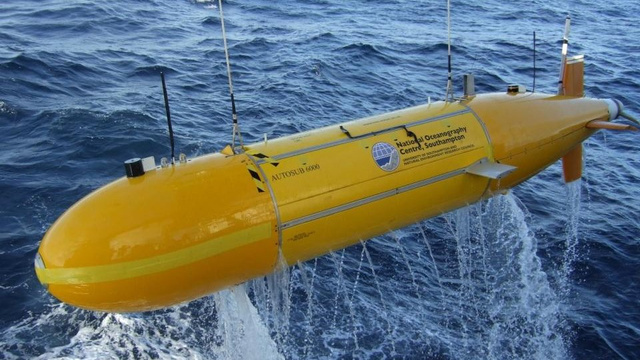 Based on data collected by the smart submersibles, the scientists found that the Southern Ocean absorbs carbon at specific spots where the confluence of factors is just right. Previous theories stated that the ocean absorbed carbon uniformly across its surface. According to study co-author Steve Rintoul of the Commonwealth Scientific and Industrial Research Organisation (CSIRO), these currents in the Southern Ocean are the most vital oceanic mechanism for eliminating greenhouse gases. “There are other places in the ocean where the water sinks to the deep ocean, in particular—in the north Atlantic,” he said in an accompanying web video. The scientists noted that the Southern Ocean plays an important role in reducing atmospheric carbon and warned that the factors that contribute to these carbon sequestering currents could be susceptible to climate change, increasing the possibility of a global warming feedback loop. “If it wasn’t for the ocean acting as a sponge, climate would be changing more rapidly than it is today,” Rintoul said. “Climate change will definitely interact with this process and modulate it,” co-author Richard Matear, of CSIRO, told Reuters. Watch as this NASA animation shows the sun blasting out a giant explosion of magnetic energy called a coronal mass ejection and the Earth being shielded from this by its powerful magnetic field. The sun also continuously showers the Earth with light and radiation energy. Much of this solar energy is deflected by the Earth's atmosphere or reflected back into space by clouds, ice and snow. What gets through becomes the energy that drives the Earth system, powering a remarkable planetary engine -- the climate. The unevenness of this solar heating, the cycles of day and night, and our seasons are part of what cause wind currents to circulate around the word. These winds drive surface ocean currents and in this animation you can view these currents flowing off the coast of Florida. This animation connects for the first time a series of computer models. The view of the sun and the Earth's magnetic field comes from the Luhmann-Friesen magnetic field model and two models that incorporated data from a real coronal mass ejection from the sun on December 2006. 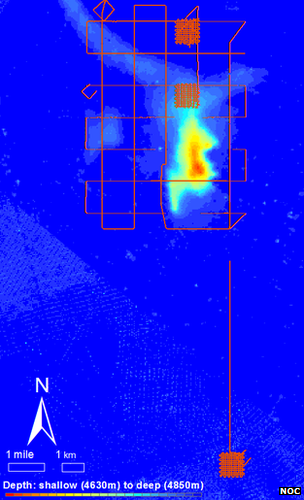 NASA's Community Coordinated Modeling Center (CCMC) at Goddard Space Flight Center, a multi-agency partnership that provides information on space weather to the international research community, generated these two models. The ENLIL model is a time-dependent 3-D magnetohydrodynamic model of the heliosphere and shows changes in the particles flows and magnetic fields. The BATS-R-US model is also a magnetohydrodynamic model of plasma from solar wind moving through the Earth's magnetic dipole field. It uses measurements of solar wind density, velocity, temperature and magnetic field by NASA's Advanced Composition Explorer (ACE) satellite, which launched in August of 1997 and the Solar Terrestrial Relations Observatory (STEREO), two satellites that view the structure and evolution of solar storms. The view of the Earth's atmosphere comes from the Modern-Era Retrospective Analysis for Research and Applications (MERRA), a computer model that uses data from the Goddard Earth Observing System Data Assimilation System Version 5 (GEOS-5) and incorporates information gathered from ground stations, operational satellites and NASA's Earth-observing fleet of satellites. The model for the ocean is the Estimating the Circulation and Climate of the Ocean, Phase II (ECCO2), a joint project of the Massachusetts Institute of Technology in Cambridge, Mass. and NASA's Jet Propulsion Laboratory in Pasadena, Ca. Splendidly evocative of Britain's sea inheritance, with details trawled from a thousand years of colourful nautical history, this is a book to open the eyes. Using the device of a circumnavigation, Blake shows how a mariner's perception of these shores has varied over the centuries, and includes fascinating detail of the charts and instruments that have contributed. This wonderfully illustrated book features rare and detailed charts from the ages which will handsomely repay the armchair sailor poring over it with a magnifier. 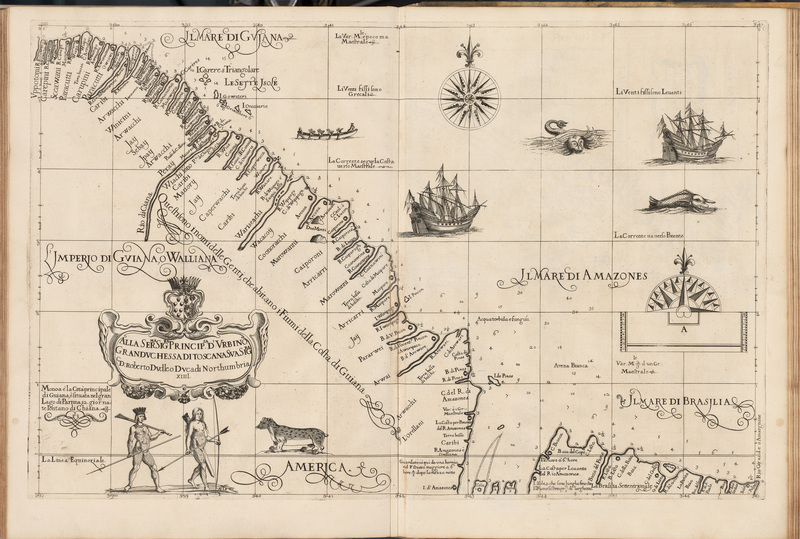 This book examines the history of the sea chart in both aesthetic and scientific terms. Chapters are organized along chronological and geographical lines. Each one opens with a succinct history of the charting of a particular area, and is followed by a sumptuous plate section of significant charts that support the text. Stand alone feature boxes explain key figures and themes. "What makes this book so impressive is the selection of charts that the author, John Blake, has carefully gathered together from some of the most important archives in the world. The collection includes the early portolan charts of the fifteenth century, original manuscript charts of Europe, India and the Orient, and nautical maps that show the medieval view of the known world." A chart of the Gulf Stream by James Poupard, sculp. Appeared in the Transactions of the American Philosophical Society, 1786. 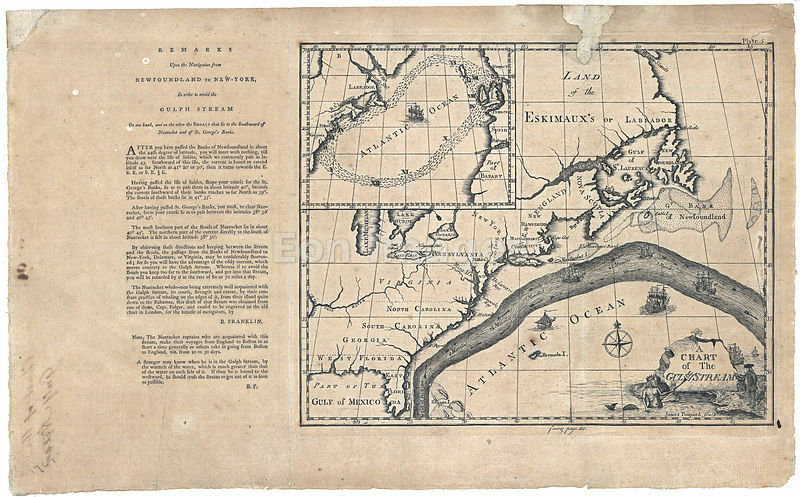 Includes inset of North Atlantic and text in left margin "Remarks upon the navigation from Newfoundland to New-York, in order to avoid the Gulph Stream on one hand, and on the other the shoals that lie to the southward of Nantucket and of St. George's Banks," by Benjamin Franklin. This volume features examples from famous sets of charts, such as The Mariner's Mirrour, the English translation of the celebrated Spieghel der Zeevaerdt, Dell' Arcano del Mare, Le Neptune Francois, and the Atlantic Neptune, together with rare examples of individual charts, such as Benjamin Franklin's Chart of the North Atlantic.